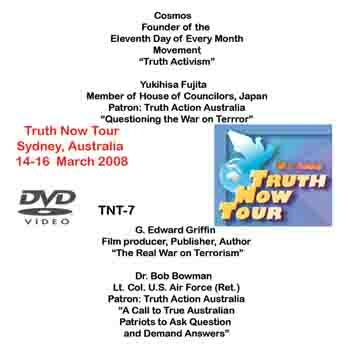 The “Truth Now Tour, Sydney Conference” was organized by truthaction.org.au to critically examine the events of 9/11 and Australia’s participation in the War Of Terror. Asking the Question, “Did Australia go to war in Iraq and Afghanistan on a false pretext?,” a premier group of international and Australian researchers, politicos and speakers, present their case for a new and open investigation into the crimes of 9/11. 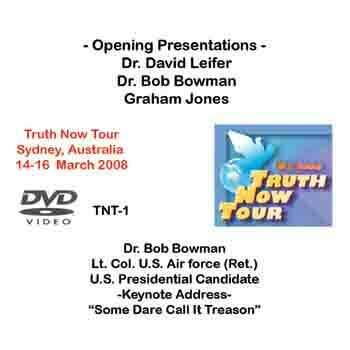 This DVD video set brings the conference to life. 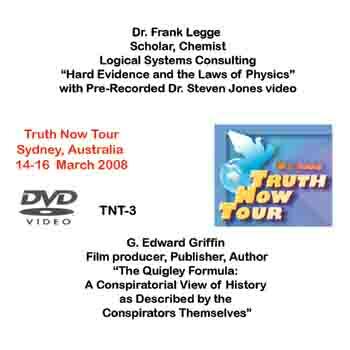 Other great talks by Cosmos, Barrie Zwicker, Ken Jenkins, Gillian Norman, Ian Woods, G. Edward Griffin, David Leifer and others fill the air with hope and promise.